Is there anything more pampering then going and getting your makeup done? Honestly, I think not. There’s something really nice about not being the one in control of your face, and I absolutely love getting my makeup done at Nordstrom because I always learn something new. 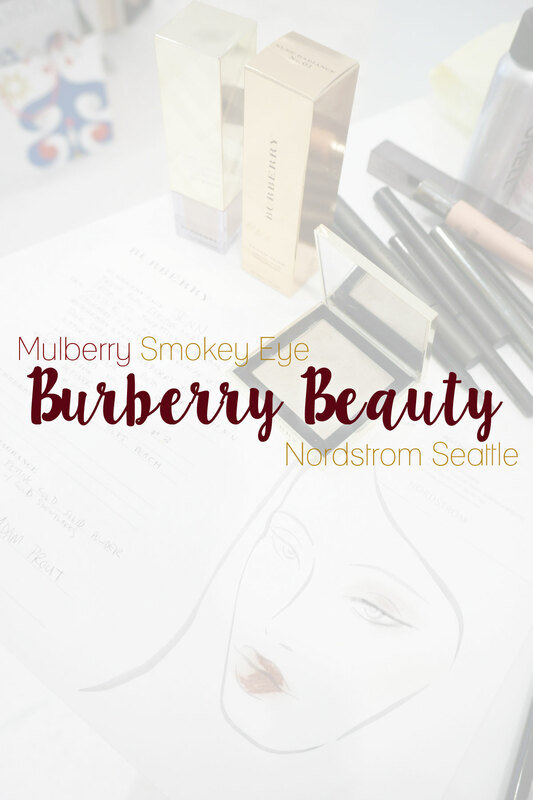 Last Monday, I stopped by after work to check out the new Burberry Beauty Counter at Nordstrom’s Flagship store in Seattle. Adam, a local makeup artist and beauty manager at Nordstrom, let me know about the new line and invited me to check it out. Being the beauty fanatic I am, I said of course! He walked me through some of his favorite products from Burberry and test drove a few on my face. I particularly loved the face makeup – the Fresh Glow Foundation and the Fresh Glow Base felt absolutely amazing on my skin. Very hydrating for this time of year, and the coverage was light but buildable, and enough to cover most of my red patches and discoloration without concealer. For the eyes, Adam chose a beautiful mulberry shade that I think is the perfect color for the holidays. Burberry focuses on lighter makeup application, but he smoked out the mulberry shadow a bit and added winged liner and a thick coat of mascara. The look he was going for was sultry and dramatic without looking overdone or heavy, and I think he nailed it. 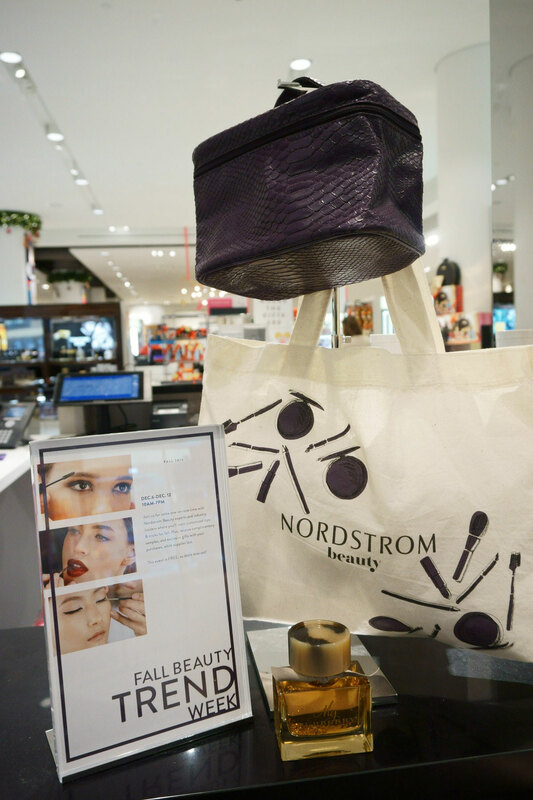 This week marks Nordstrom’s annual Beauty Trend Week, and as always, every counter is offering complimentary makeup appointments and other services to celebrate! (Anyone can book an appointment for free. No purchase necessary, and no pressure about purchasing. Mine was entirely free too, and no, I didn’t get anything special as a blogger.) If you’re interested in booking an appointment with Adam, he has availability this week (today through 11th) as well as on the day of the Trend Show, Saturday the 12th. You can shoot him an email here, or feel free to call Nordstrom (206.628.2111) and ask for Adam at the Burberry counter. I’ll be at the Trend Show this coming Saturday, December 12th at 8am to hear industry experts speak and share upcoming beauty trends. If you’re interested too, Nordstrom is selling tickets for $20 (which is really just a gift card that’s good towards anything the day of the show in store.) 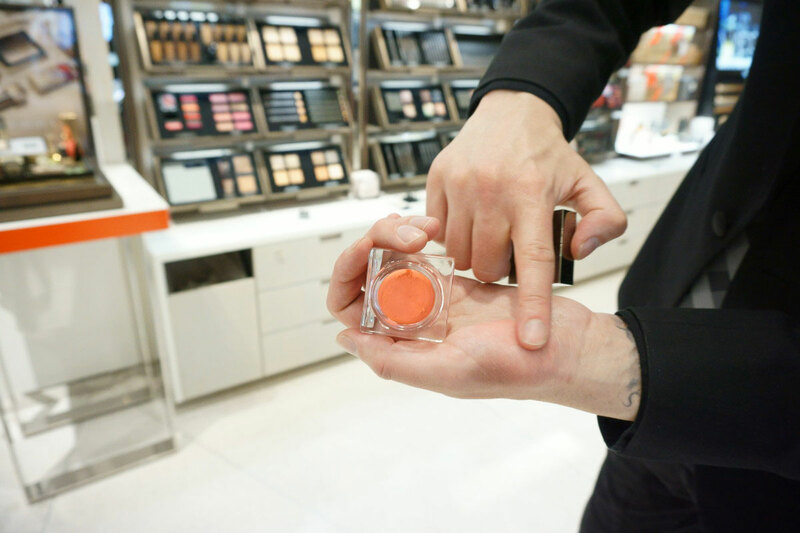 You can pick them up at any beauty counter at the Flagship, or shoot Adam an email and he can help you out. Not crazy about makeup? 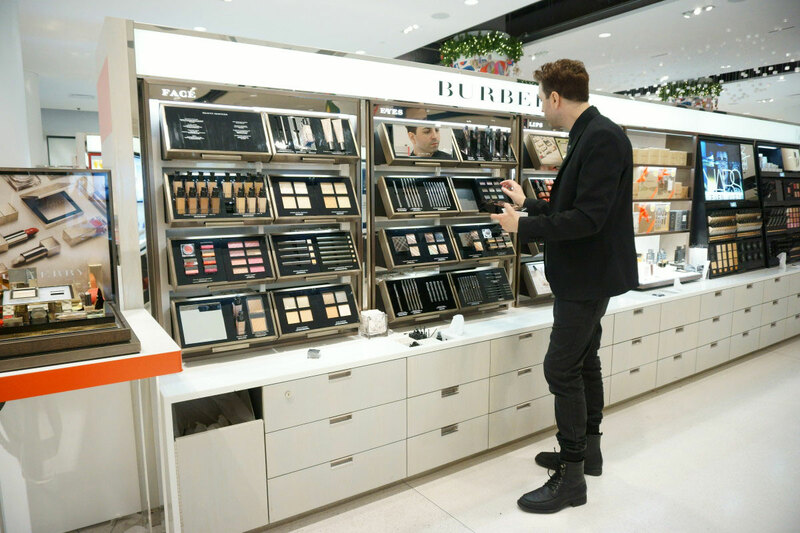 That’s cool – there will also be skincare services provided by brands like Fresh and Kiehl’s, and I heard that Butter London may also be doing nails! Plus, Nordstrom will be giving every guest a nice little swag bag to take home. For those of you not in Seattle, I thought it would be fun to send you a little swag bag of your own. I’ll send two winners a makeup bag with various samples to try out so you can experience Beauty Trend Week, even from afar. ;) Get yourself entered below, giveaway ends 12/15 and is open to the US only due to shipping restrictions. I haven’t tried any of their makeup but would love to try that lip color you are wearing in Sepia. It looks so good on you and is a color I always gravitate to. Thanks so much for this. I’d love to try those samples. The links for the entry that says enter another giveaway at the bottom of this post is not working correctly. I’ve entered your other giveaways but just wanted to see those links prior to taking the entry. Just a FYI and thanks. I’m new to Burberry makeup, I’ve only tried a nail polish! I definitely want to try some more products – the packaging is to die for! I know right?! I haven’t tried their nail polish yet but think I need to! I’ve never tried any Burberry Makeup product, but I would love to! I haven’t tried any of their makeup but I would love to try their eyeshadow! Love the look, especially your eyes! I would love to try that mulberry eyeshadow! i’d love to try the curve love mascara. So fun! 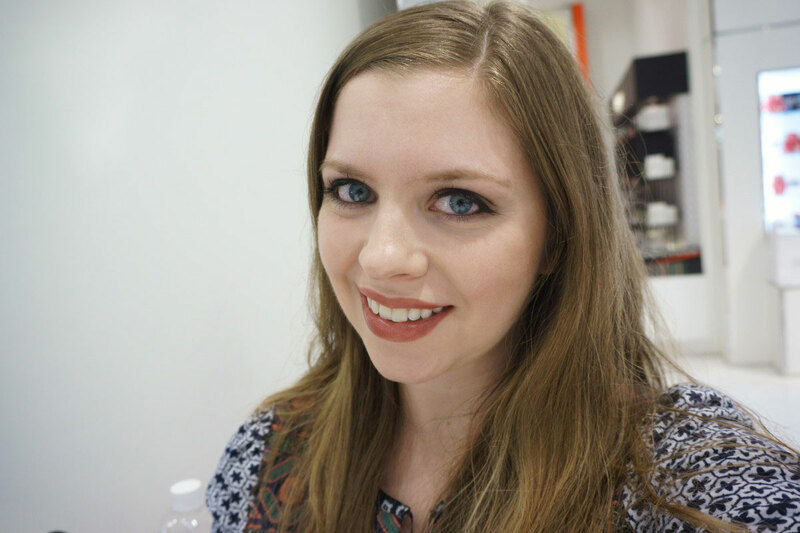 I’ve been wanting to try out Burberry Beauty, I love the mulberry look! I hope there will be a blog post about the trends you learn about for those of us that can’t attend! 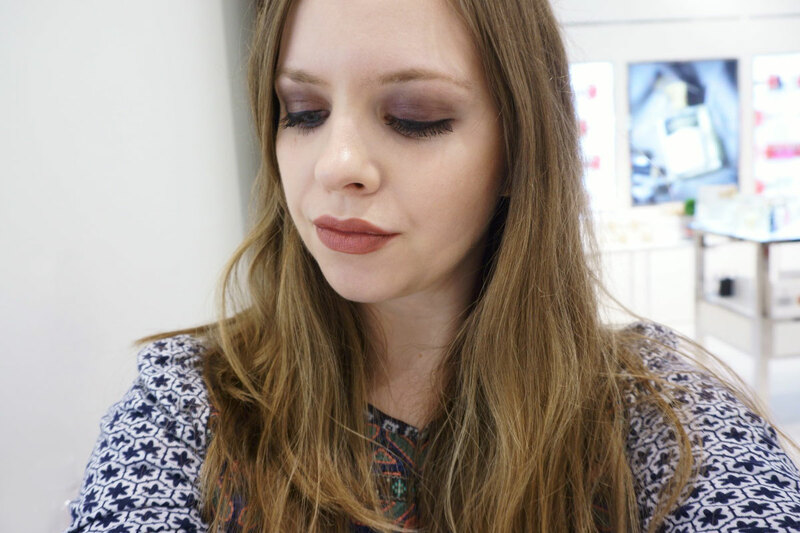 I love this look; it definitely looks sultry without being too over the top! My Burberry Gold Magic’ Eau de Parfum (Limited Edition) is what I would like to try. I love my Burberry perfume and would love to try the the brow pencil and definer. Burberry perfume is great! Thanks for entering, Betsy! I’ve never tried Burberry beauty products before. But I LOVE their Burberry Beauty ‘Iconic Colour’ Nail Polish In Gold!! Their nail polish is gorgeous! Thanks for entering, Kim! I haven’t tried any yet, but I’d love to try any of them! All so pretty! You look gorg! I love the smokey eye and lip color. I would love to try their Eye Colour Cream in the Dusty Pink shade. So pretty! I would love to try the Burberry ‘Effortless’ Kohl Eyeliner in Jet Black!